Real plums. And plum sauce. And not heating up your kitchen and still having a great ‘meat and potatoes meal’ here you go! 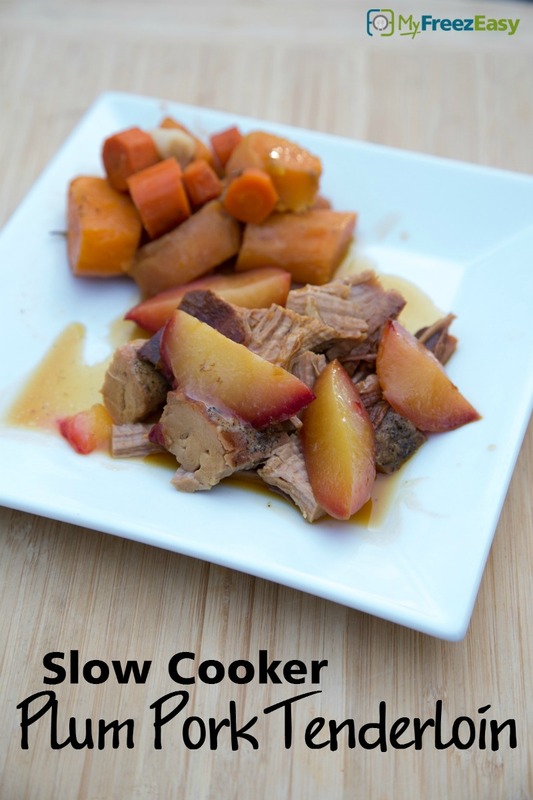 Place the pork tenderloin into the base of the slow cooker. Season with salt and pepper. Pour the plum sauce over the top and then sprinkle the cinnamon and allspice over the plum sauce. Add the plum slices with 1/2 to 1 cup of water. Serve Plum Pork Tenderloin over rice with side salad. Seed and slice 4 plums into small wedges. Put baggie in the freezer and freeze up to 6 months in fridge freezer or 12 months in a deep freezer. 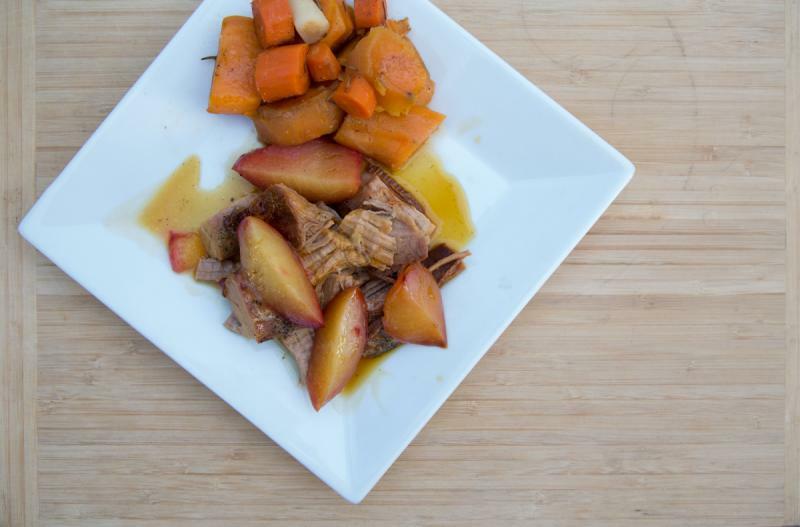 Thaw in the fridge overnight, or a warm bowl of water for about 20 minutes, before transferring to the slow cooker, adding 1/2 to 1 cup of water and cooking on low for 8 hours. Thaw and add content of baggie to slow cooker. Add 1/2 to 1 cup of water and slow cook on low for 8 hours.